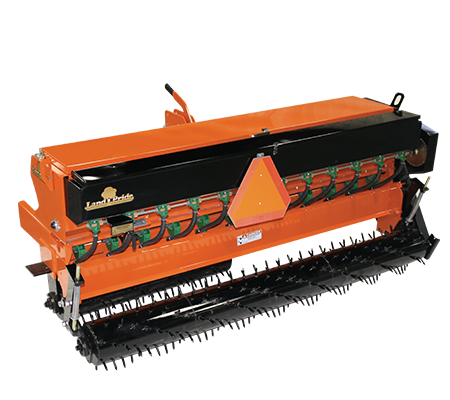 While seeding into a freshly prepared site, the front angling rollers help cut through the top crust, kicking up a light amount of soil, making sure the ground is soft. The seed is then dropped and compressed by the rear roller. Establishing this initial seed to soil contact is essential in achieving a high rate of germination.